when run in the IDE, I have each Picture related to the Value from my MSHFlexgrid1. When i run it with the .exe, this is when i have the problem where the pictures don't match. I did try "DoEvents' at multiple places but still having the same problem. you need to retrieve the correct image path before you insert that image into the Excel. That image get's overwritten in a loop :"C:\Pic.bmp", so the picture is never the same. You can see it when you run it in the IDE and not with .exe. I found it. Now it's working using this: "C:\Pic" & gridRow & ".bmp"
SavePicture Picture1.Image, "C:\Pic" & gridRow & ".bmp"
xlObj.ActiveWorkbook.ActiveSheet.Cells(xlRow, 1).AddComment.Shape.Fill.UserPicture "C:\Pic" & gridRow & ".bmp"
That image get's overwritten in a loop :"C:\Pic.bmp"
why you want to overwritten it? why don't you saved as a series of images? i didn't want to create a tone of images. sometime, i can create up to 200. I still need to look at it. still doesn't work with: "C:\Pic" & gridRow & ".bmp"
if you insist to use Pic.bmp as the only output, you probably can put the DoEvents statement after the SavePicture . even after the save, i still get the same problem. SavePicture Picture1.Image, "C:\Pic_" & MSHFlexGrid1.Row & ".bmp"
xlObj.ActiveWorkbook.ActiveSheet.Cells(xlRow, 1).AddComment.Shape.Fill.UserPicture "C:\Pic_" & MSHFlexGrid1.Row & ".bmp"
ooops, I missed out an important part! you need to reload image to Picture1. You are taking the picture from a control called Picture1, but I don't see any code that actually changes the image of Picture1 in the loop which populates Excel? can you tell where's the image source that loaded into Picture1 ? instead of load it into a PictureBox, and then Save it to a location and use that file for your process? 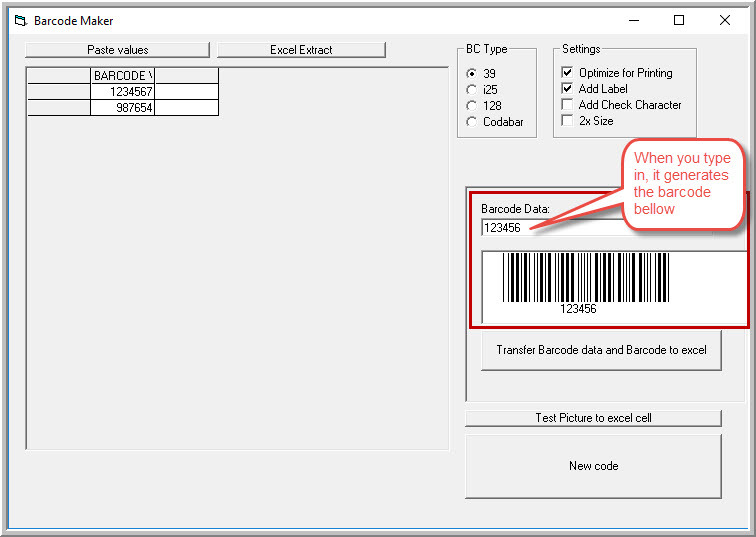 You can test the barcode manually if you type directly in Text1. You will see the barcode being generated. Picture1.Print Cur & " is Invalid"
'interleave the code into a temp string - what'd you think the name meant? i see that for some reasons, when using .exe, it doesn't save to "C:\Pic" & gridRow & ".bmp" while using IDE, it does save to "C:\Pic" & gridRow & ".bmp". I'm now seeing the file in "C:\Pic" & gridRow & ".bmp"
Have you tried adding a DoEvents directly after the code that uploads the excel file? 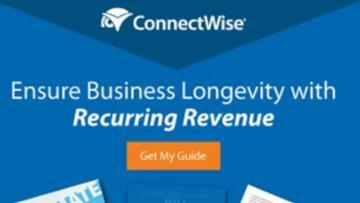 Have you considered doing the whole process in Excel? If you are concerned about making an Excel workbook into an exe this app can apparently do that. Martin, I just tried to put the DoEvents directly after the code that uploads the excel file but still having the same issue. I'm getting at the point that this will never work. Oh well!!! I will look at the Application see if this can be an option for me. It may be the best solution at the end. Please re-upload your project including recent changes. This is the most updated project sample. You will see that using IDE it works bit not when using exe. I'm also looking at the app you talked about. Will see if this can be a solution. So far, it looks good. I don't remember what i did before i sent you the last sample but it looks like it's working now. I will take a pause and will test it again in about an hour, just to make sure i'm not mistaken here. I'm getting confused right now. After some extra test this afternoon, I still have the same problem with exe, unfortunately. Well I have good news/bad news. Using this code, which I don't think I modified, I get 2 different barcodes via the exe. .Filter = "Spreadsheet Files (*.xls)|*.xls| 2k7 Excel Files (*.xlsx)|*.xlsx"
path_link = FileNm & ".xls"
SavePicture Picture1.Image, "C:\Pic_" & gridRow & ".jpg"
xlObj.ActiveWorkbook.ActiveSheet.Cells(xlRow, 1).AddComment.Shape.Fill.UserPicture "C:\Pic_" & gridRow & ".jpg"
Here's what it looked like. Note that I used an xlsx file. I'll try it with and xls file and see if that makes a difference. No difference with an xls, but Excel 2010 warned me that the file format didn't agree with the extension. ok, let me try something. I'm under Windows 10 and office 365. I will test with another version on another computer. Just in case. Thanks for the test that you did. Now i know that it really works. Windows 10 and Excel 2013 on another laptop and the result with .exe is good. I just tried with 4 values in MSHFlexgrid1 and it only does the 2 first numbers but in duplicates instead of 4 different numbers. Can you try it on your side please? MSHFlexGrid1.TextMatrix(0, 0) = "BARCODE VALUE"
MSHFlexGrid1.TextMatrix(0, 1) = "BARCODE VALUE"
MSHFlexGrid1.TextMatrix(0, 2) = "BARCODE VALUE"
Try this. The second loop (for the workbook) was unnecessary and messing things up. xlObj.ActiveWorkbook.ActiveSheet.Cells(gridRow + 1, 1).AddComment.Shape.Fill.UserPicture "C:\Pic_" & gridRow & ".jpg"
xlObj.ActiveWorkbook.ActiveSheet.Cells(gridRow + 1, 1).Comment.Text " "
Thanks again for all your help. I just tried with over 500 numbers and it's all working now. That topic as been a long ride. Martin, i like the app for Excel. I will see if i can also do something in Excel directly and use the app. I just tested the trial version. Very good. I changed a few things. You were referring to xlObj.ActiveWorkbook which would cause a problem if the probably rare circumstance where the user opened or selected another workbook while the barcode processing was going on so I changed it to wkbOut.ActiveSheet. I changed the name of the workbook from what was in Label3.Caption to "Barcodes" which you can of course change. Label3 isn't used so the name of the workbook became "Label3". I changed .ShowSave to .ShowOpen in the CommonDialog2 code so that the button says "Open" rather than "Save" which was confusing. I suggest you add CommonDialog processing at the end when you close the workbook because as it is now the workbook gets saved no matter if you press Yes, No or Cancel in response to SaveAs. I also suggest you get rid of all the dead command buttons (Command1 through Command5) and their code. 'path_link = FileNm & ".xls"
wkbOut.ActiveSheet.Cells(gridRow + 1, 1).AddComment.Shape.Fill.UserPicture "C:\Pic_" & gridRow & ".jpg"
wkbOut.ActiveSheet.Cells(gridRow + 1, 1).Comment.Text " "
Thanks a lot for all the above recommendations and code updates. Really appreciated. I will follow them for sure. Will work on it and i will let you know if i have any questions.